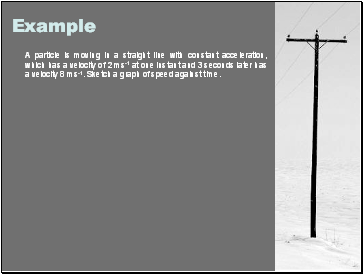 A cyclist is travelling at a constant speed of 4ms-1. 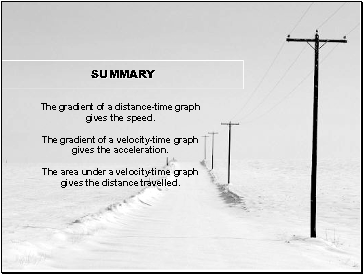 Sketch a graph of speed against time. What is the gradient of the graph? What does this represent? 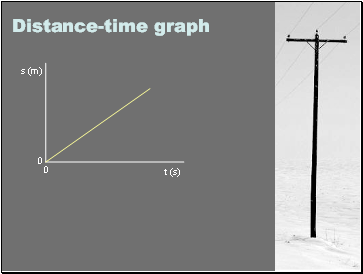 t = 0 and t = 2, t = 2 and t = 5, t = 0 and t = T.
Sketch the graph of distance travelled against time. 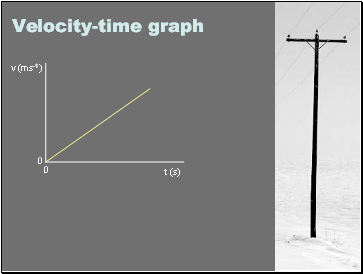 What is the relationship between this graph and the speed of the cyclist? 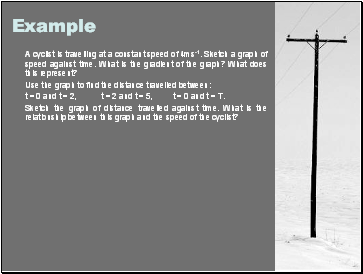 t = 0 and t = 5, t = 0 and t = T.
Use this information to sketch a graph of distance against time. 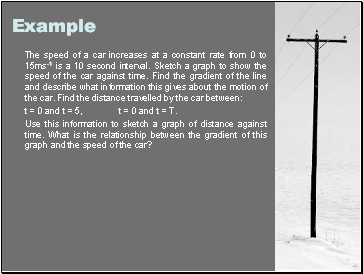 What is the relationship between the gradient of this graph and the speed of the car? A particle is moving in a straight line with constant acceleration, which has a velocity of 2 ms-1 at one instant and 3 seconds later has a velocity 8 ms-1. Sketch a graph of speed against time. 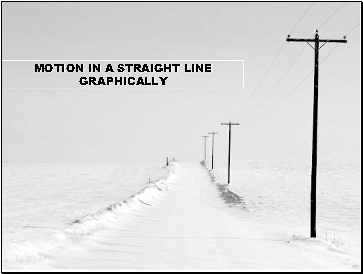 A car is moving along a straight line. 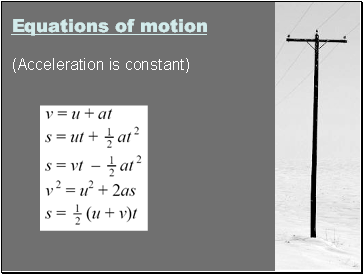 It is taken from rest to a velocity of 20ms-1 by a constant acceleration of 5ms-2. It maintains a constant velocity of 20ms-1 for 5 seconds and then is brought to rest again by a constant acceleration of -2ms-2. 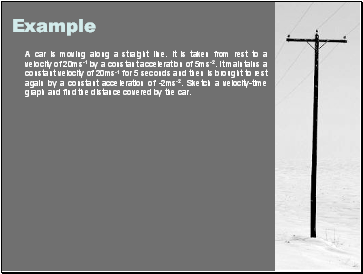 Sketch a velocity-time graph and find the distance covered by the car. 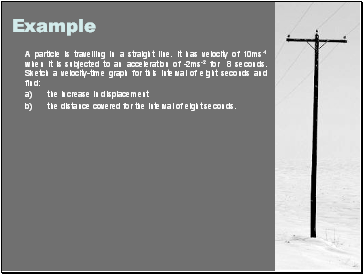 b) the distance covered for the interval of eight seconds.